Depending on your part requirements, API will use the process that best emphasizes the characteristics that you need. 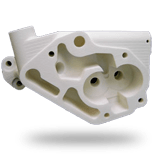 We can produce rapid prototype parts of the same design with several variations or duplicates of the same part. The rapid prototypes can emphasize strength, durability, aesthetics, and moving elements. All of this helps to shorten your design cycle. Please register and login is if you want instant rapid prototype quotes online. Advanced Prototyping respects your privacy and completely guarantees the security of this website. Any information that you give us is held with the utmost care and security and will not be sold, rented, or loaned to any third party. 3D Systems' Sinterstations use fusible powder and directed laser heat to build and fuse the prototype layer-by-layer in the SLS process. The SLS process is capable of producing prototype parts with intricate or complex geometry's limited accessibility, semi-flexible, thin walled geometry or high heat deflection. 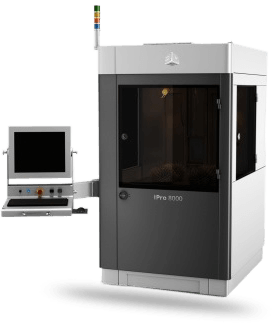 3D Systems - Stereolithography "SLA"
These SLA systems are capable of producing rapid prototype parts with high detail and accuracy. 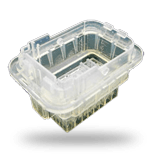 API manufactures urethane parts from silicone molds, using a master prototype to develop the mold. 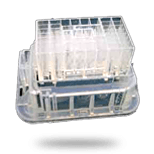 The urethane liquid is mixed and injected into the silicone mold using the RIM process inside a vacuum chamber. 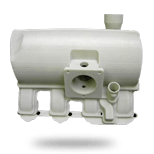 Our rapid prototyping customers include General Motors, Boeing, NASA, Chrysler, Ford, Anderson, American Axle, BASF, Behr, and hundreds of other medium to small size companies. Art and engineering colleges across the country also use API. 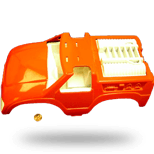 Advanced Prototyping has made prototype parts for aircraft, submarines, offshore oil rigs, cars, cell phones, toys, perfume bottles, milk containers, juice bottles, computers, blood pumps, tie clips and fishing lures just to name a few. Whether you're the biggest corporation in the world or an individual with an idea, you will get the same attention, personal service, and quality work that companies have come to expect from Advanced Prototyping.